1914 Postcard of U.S mail delivery after Salinas River flood, King City, CA. Courtesy Carol Harrington. 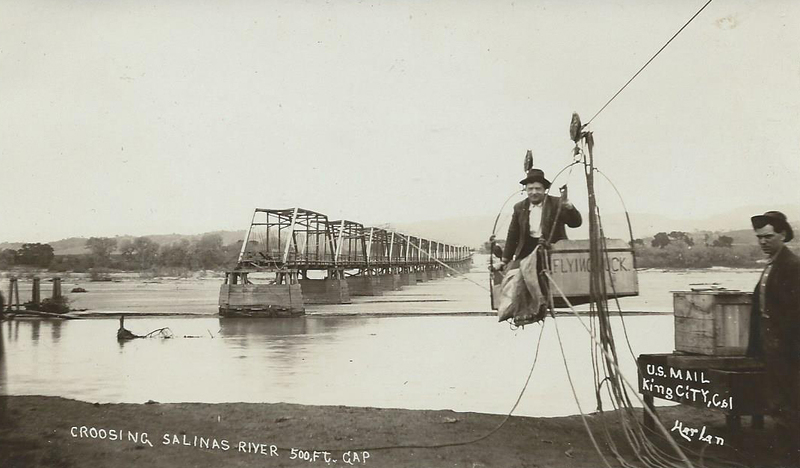 This entry was posted in King City, Old California, Old Postcards, Salinas, Vintage Photos and tagged 1914 flood, King City, Salinas River, U.S. mail delivery. Bookmark the permalink.